Microsoft has sold over 240 million copies of its Windows 7 operating system, the company announced today, positioning it as the fastest-selling operating system and helping Microsoft post record profits even when there was a slight dip in computer sales. Microsoft has lost some of its market share to Apple’s OS X and Linux-based distributions but still powers around 90% of the world’s personal computers and expects more sales of its newest operating system as customers make the switch from the non-supported Windows XP and much maligned Windows Vista platforms. 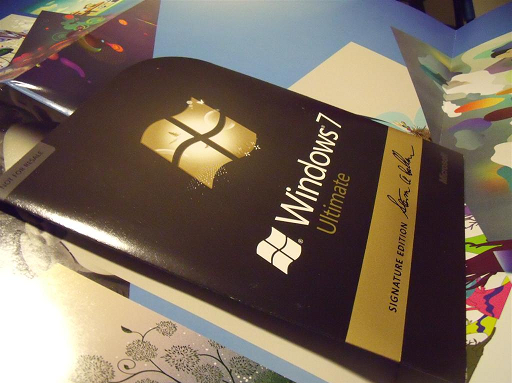 Microsoft sells different variations of Windows 7, an operating system that went on sale a year ago next week. Reuters reports that Microsoft recorded sales of $62.5 billion in its last financial year, growth of over 7%. WIndows sales constiuted more than a quarter of overall sales and more than half its profit. Microsoft reported record sales of $62.5 billion last fiscal year, up 7 percent from the year before, largely powered by Windows. The Windows unit is still Microsoft’s core, providing more than one-fourth of overall sales and just over half of its profit. The Redmond company will report its first-quarter financials next week, analysts expect that Windows sales might disappoint its investors despite a strong first year.